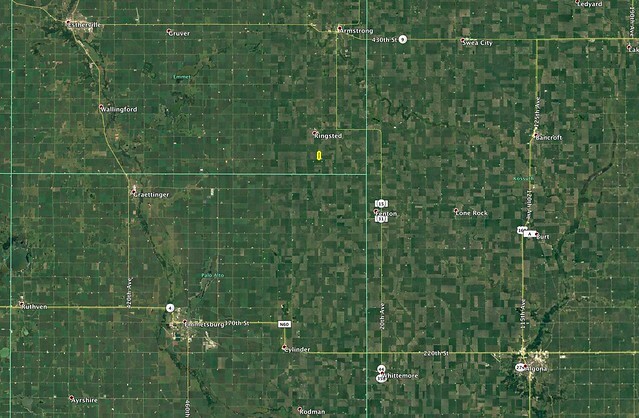 The farm is located directly south of Ringstead Iowa 2 miles south on 550th Ave S and 1/4 mile west. 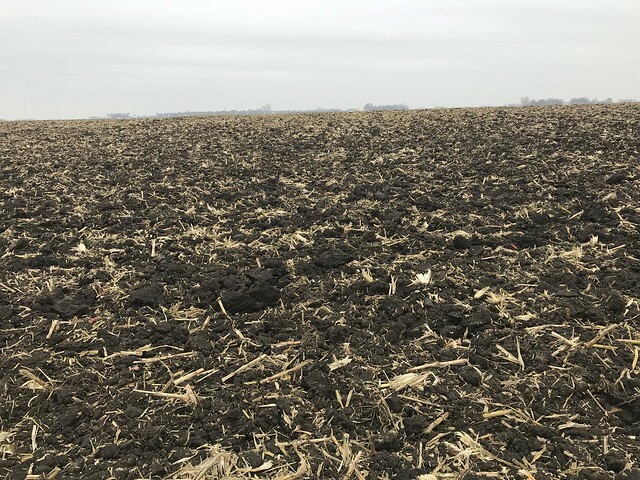 The farm is 13 miles northeast of Emmetsburg or 19 miles northwest of Algona and 18 miles southeast of Estherville, Iowa. This will be a live auction with online bidding available for those that can not attend the auction. There is a 3% buyer fee with this auction. The buyer fee will be added to your top bid to establish the contract price. Bid + 3% of bid = Purchase Price. 5% of the purchase price will be due on auction day as earnest and the balance will be due at closing. 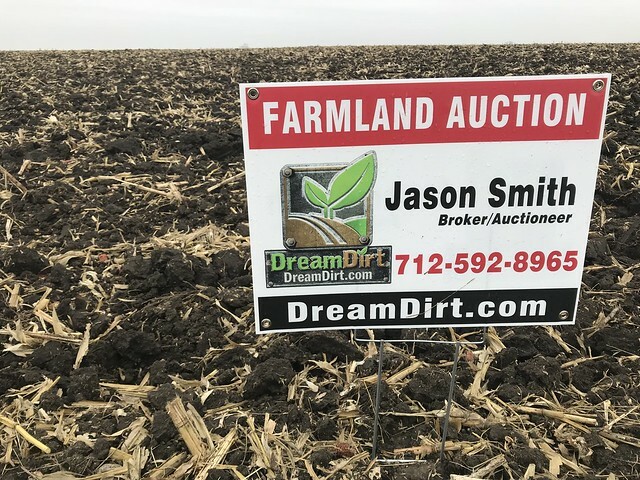 What a great piece of north Iowa farmland. 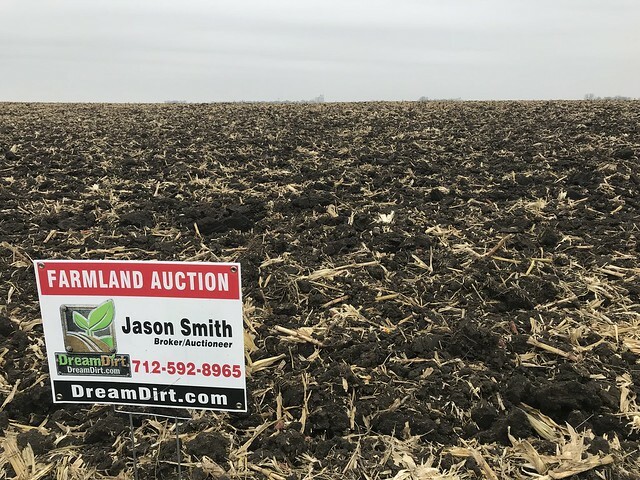 If you are looking to expand with additional acres or a high quality farmland investment this farm offers plenty of opportunity. The survey was completed today (December 1, 2017) and the markers are now in place so you may review them over the weekend. 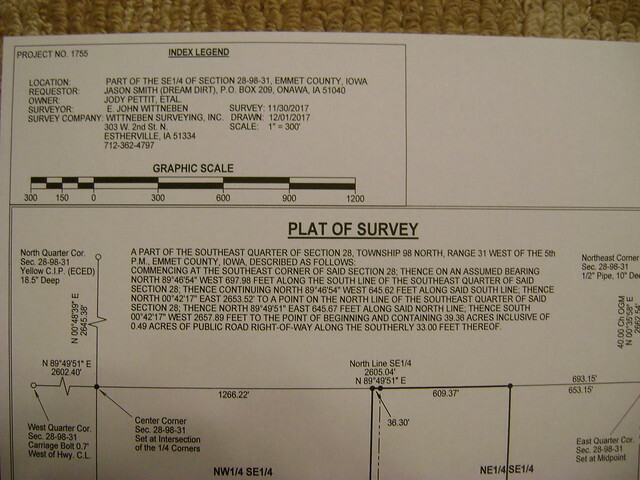 The results of the survey are 39.36 acres. 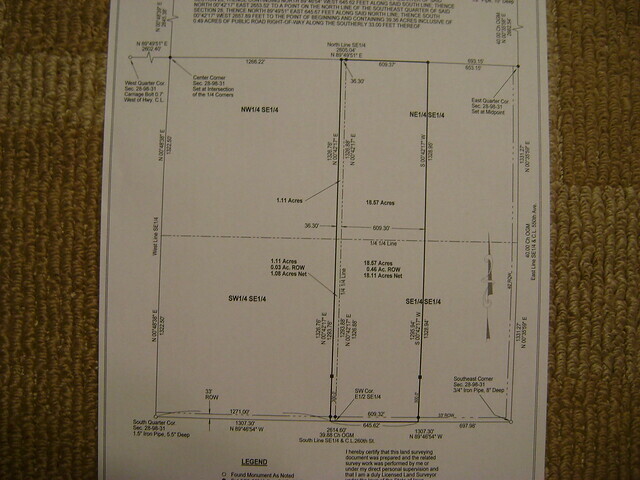 The plat and new legal descritpion are included in the photos below. All corners have been set with yellow caps. Lath with orange tape mark the 4 corners. A copy of the survey will be available at the auction. 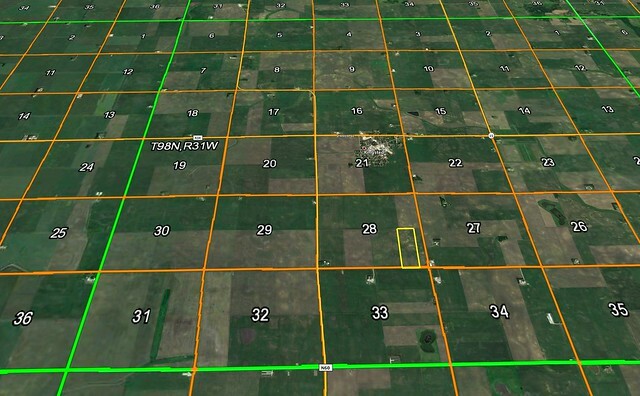 You will be bidding times 39.36 surveyed acres. 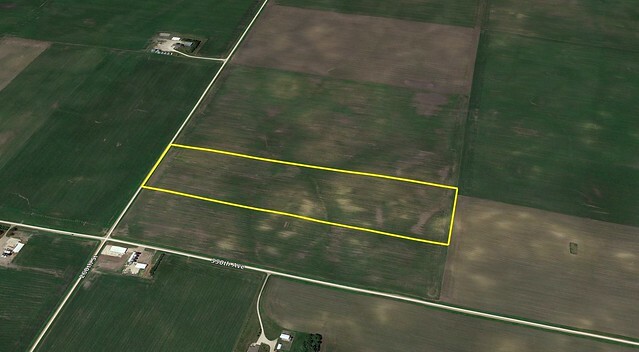 1 Tract of farmland to be offered as 1 tract only. 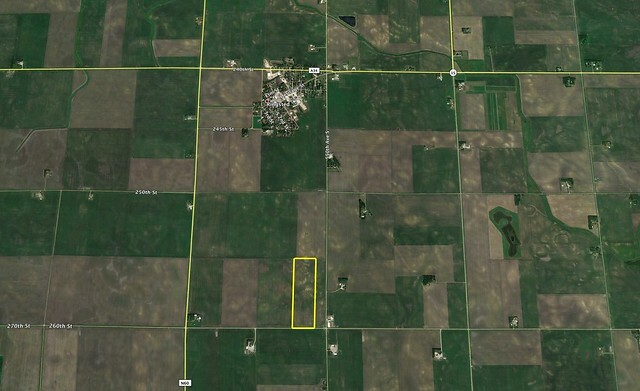 The farm will be sold as 1 tract and the bidding multiplier will be 39.36 acres. 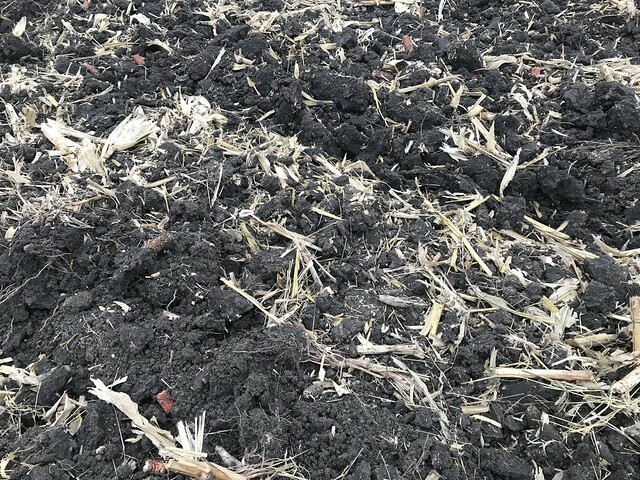 There are no homes on this farm. 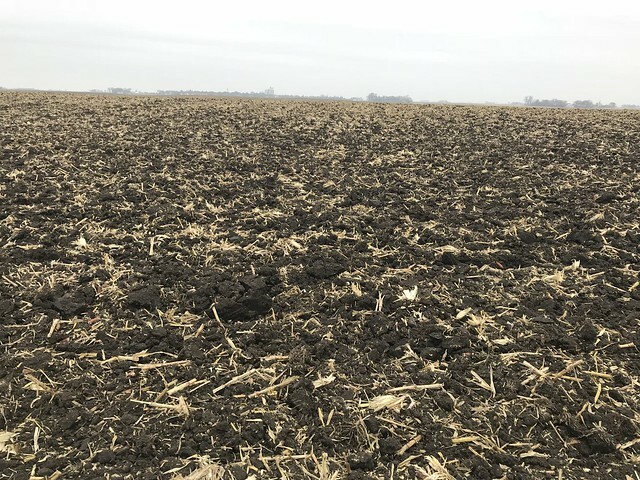 A portion of the SE 1/4 of Section 28 Denmark Township Emmet County Iowa. You will get full possession on March 1, 2018. Closing will be held on December 29th. 5% of the purchase price will be due the day of the auction. 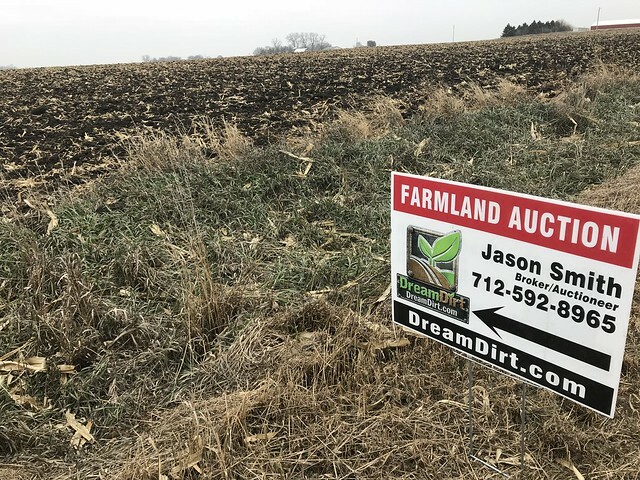 There is no existing farm lease on this farm.